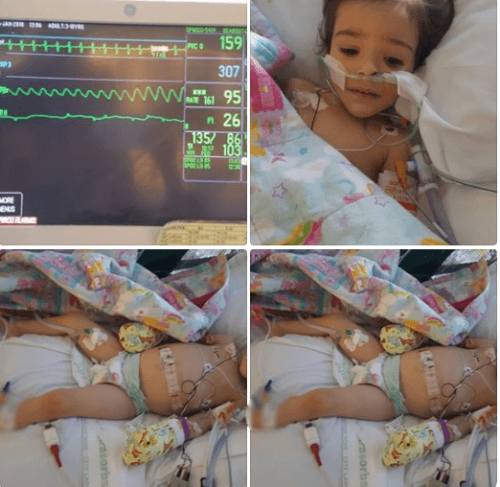 2 Year Old Medically Kidnapped Child Forced to Receive Chemo and Surgery When Parents Seek 2nd Opinion – Part of Medical Experiment? Grace has a swollen belly and a scar across her entire body after doctors planned to remove her kidney. Was this necessary? Photo provided by family. 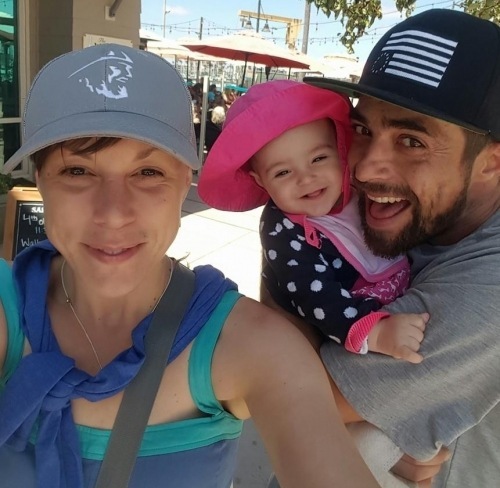 Just one month ago, 2 year old Grace Alleluia Beabout-Vega of Ventura County, California, was a happy, thriving little girl. She had just celebrated Christmas with her family, and she was recording a children’s album with her mom. Wide-eyed, innocent, and trusting, she took comfort in the love of both her mother and her father, with whom there was obvious mutual adoration. She had no fear. Her world was good. A trip to the emergency room over a mysterious lump in her side turned their lives upside down. That was Wednesday, January 10, 2018. When her parents simply said that they wanted a second opinion and to explore treatment options, Child Protective Services swooped in with incredible speed and took her from them. Today, Grace lies in a strange hospital bed at UCLA Mattel Children’s Hospital. A huge gash stretches across her entire belly. Her tiny body hasn’t even had time to recover from the surgery, yet toxic chemotherapy chemicals began being injected into her less than a week after major abdominal surgery. Her parents have been denied the ability to seek out any alternative treatment options even though they exist. They have been denied “informed consent” at every turn. 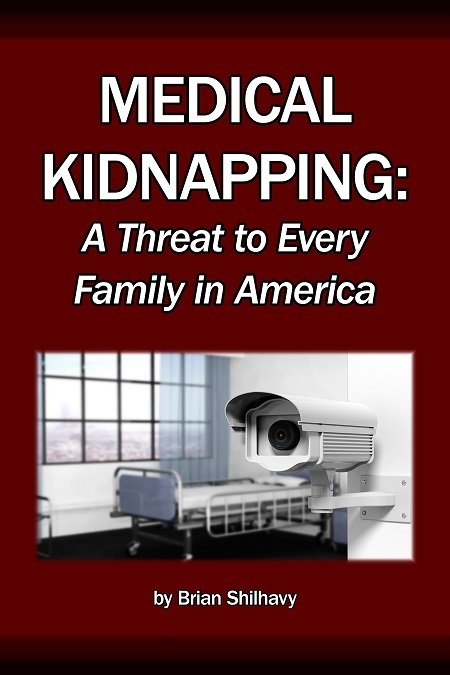 Social workers and doctors decide her fate while strangers surround her. Her parents, once her entire world, are forcibly kept away from her except for occasional short visits. She’s just getting worse and worse. It’s like a horror movie. This may sound much like a futuristic sci-fi horror flick, but it is the present reality for Grace and her family, as well as for thousands of others across the United States of America. Grace has been medically kidnapped, and she is caught in an epic battle between Child Protective Services and the parents who truly want to protect her. Her story shows the power of doctors and social workers to take away her liberty, her family, and quite possibly – her very life. When Grace’s family celebrated the Christmas and New Year holidays, the word “cancer” was the furthest thing from their mind. There was no sign that Grace was anything but a healthy, happy child, as shown by a video that Leah Beabout posted on YouTube. On January 10, Leah Beabout took her little girl to the emergency room and their nightmare began. In less than 24 hours, doctors were talking about removing Grace’s kidney and beginning chemotherapy. No biopsy had been done and her kidney function tests were normal. Her parents’ normal questions, the ones listed on numerous medical websites about “what to ask your doctor,” were thwarted. The request for answers led to the unthinkable – their child was seized from them. Leah Beabout and Christopher Vega are not abusive, nor are they neglectful. They never said or indicated that they were not going to seek treatment. They simply wanted a diagnosis before an organ was removed, and they wanted to learn what options were available for treatment. Isn’t that their right as parents? When we reported their story on January 26, Grace had come out of surgery the day before. Though doctors had told her parents that they planned to remove her kidney and the mass that was on her kidney, that didn’t happen. Doctors performed a biopsy of the mass on her kidney. Grace after surgery, where she was forced to recover without her mommy. Photo supplied by family member. Though a biopsy is generally done through a tiny incision, UCLA doctors opted not to do that, leaving a huge scar that stretches all the way across her body. During the surgery, a port was installed into her chest to facilitate chemotherapy. Her parents were alarmed because they were under the impression that standard protocols called for the body to be given several weeks to heal before subjecting the body to the trauma of chemotherapy. They went to court the following Wednesday, January 31, still hoping that the judge would allow a halt to the plans of chemotherapy until the biopsy results came back and they could investigate other treatment options. That did not happen. UCLA doctors began chemo that very day – less than a week after major surgery. One doctor reportedly told Leah not to “go down the rabbit hole” of other possible treatments. There were no other options given. An American pediatric oncologist who lives and practices in Mexico, Dr. Sami Espinoza, was willing to work with the family to explore other possible treatments. She requested records and a transfer, but her requests were denied because Grace is under state custody. Leah Beabout has learned that there are other doctors in the United States who would have worked with them and helped to educate them about other treatment options. Grace did not have to go this route. At this point, there are more questions than answers as to why loving parents lost the right to make medical decisions for their child when they stepped into a hospital. 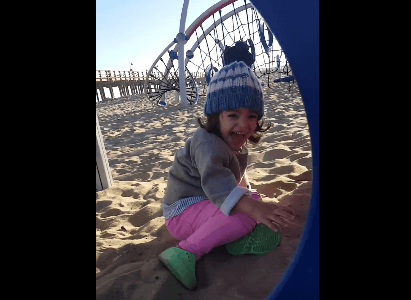 Grace playing at the beach – before Child Protective Services. Photo taken from YouTube video. The loss of their parental authority began even before before they got to UCLA. The hospital in Las Vegas made the first call to Child Protective Services, but Leah and Chris had no idea at the time that they could actually lose custody of their child or lose the ability to be involved in decisions for her care. They thought it would all be cleared up when they got home. They were wrong. The loss of their decision-making ability began days before they arrived at UCLA. Leah Beabout, a professional hip-hop singer, was visiting Las Vegas, Nevada, with Grace. They were using their time to work on recording a children’s album there because the home they shared with Grace’s father Christopher Vega was damaged in the Thomas fire in Ventura County, California. Shortly after Leah noticed a strange lump on her little girl’s side, she took her to the emergency room on January 10, 2018. There were no other symptoms, so she was stunned when Dr. Alan Iketa told her the mass they saw on the CT scan and x-ray was likely a Wilms tumor, for which they wanted to do surgery. Christopher drove up from California to take them home to Ventura County. A doctor they hadn’t yet met came into the room the next morning, less than 24 hours after their arrival at the hospital, and told the couple that they were going to prep Grace for surgery, because they had her on the schedule that day. Leah told the doctor that wasn’t going to happen because they were going to take her home to get a second opinion and seek out treatment options at home. They don’t live in Las Vegas. The doctor told her that, if they tried to leave, it would be “against medical advice” (AMA) and she would call Child Protective Services. Leah and Chris saw no reason to fear CPS, because they weren’t doing anything wrong. Leah told Health Impact News that they wanted to be involved in their daughter’s care and “seek out the BEST care available.” She said that the hospital room was dirty and she didn’t want her child to have surgery there. Grace was stable, and her parents wanted to take her home. It was a brief, two-minute conversation, but things went wrong very quickly. The doctor reportedly turned around and walked outside the room, called security to come put a monitor on the baby, and then called Child Protective Services. “Just like that” a doctor who hadn’t even examined Grace was able to step in and change her life. Yet, even then, Grace and Chris had no idea how bad it could get. They knew that, as parents, they have the authority to make medical decisions for their child. They had a right to get a second opinion and to insist upon evidence of a diagnosis of cancer before surgery or chemotherapy, and they had the right to seek out everything they could find about treatment options. After all, this is America, and we have the freedom to make our own decisions about medical care, right? 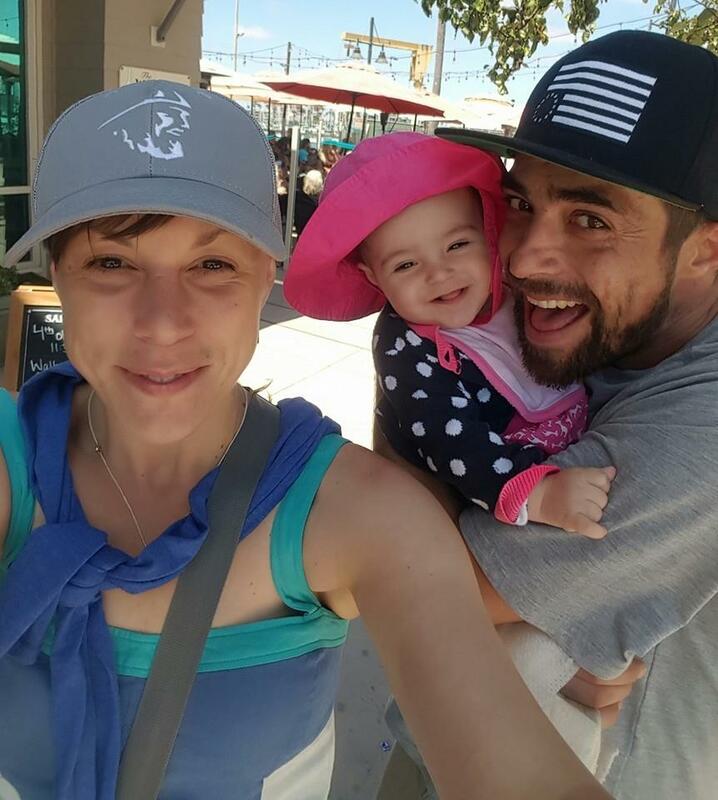 They were a happy family before a trip to the ER changed their lives. Photo supplied by family. A CPS social worker came to the hospital and spoke with the doctors. On her report, she reportedly wrote that there was a “present danger” to Grace because she had Stage 4 Wilms tumor cancer. This was the first time that Leah and Chris were told that their baby had stage 4 cancer. There was no biopsy at this point, and her kidney tests showed normal function. They had no time to process this information. This was all happening the day after Leah took Grace to the ER. The couple explained to the social worker that they simply wanted to go home to get a second opinion. After some discussion, they agreed to a “present danger plan” whereby they would go home to California for diagnosis, evaluation, and treatment. Leah says that the social worker seemed satisfied and she agreed to sign off on the plan, with the understanding that the case would be revisited in their county after they got home. They believed that the next hospital would make sure to have evidence of a diagnosis and that they would be involved in the decision-making process as far as treatment options. They didn’t expect that the next hospital would continue the trajectory set by UMC Las Vegas. Dr. Ikeda told the couple that he used to work at UCLA Mattel Children’s Hospital, and they needed to transfer there. This was not the parent’s first choice of Los Angeles area hospitals, but it was the only option that anyone at UMC would accept. Chris and Leah planned to drive their daughter home in their car, but the doctors at UMC refused to hear of it. Instead, they were told that they must utilize a private transport company that works with UMC hospital to fly her to UCLA, at a cost of $9,500, payable immediately. They didn’t have that kind of money available. Even credit card companies rarely allow customers to charge that much money at one time. The transport company refused to allow them to make payments since they were uninsured and lived out of state. The hospital refused to allow them to leave with Grace any other way, even though she was stable enough for ground transportation. That statement has bothered her ever since. Why did he tell them not to tell anyone? Is there more to this than he told them? Leah and Chris drove to Los Angeles to meet their daughter who was flown by the private transport company to UCLA Mattel Children’s Hospital on Friday, January 12. Though UCLA was not their hospital of choice, Dr. Ikeda had given them no other option. Even so, Leah and Chris believed that the treatment that they received in Las Vegas was behind them. They were stunned when UCLA treated them the same way that UMC did – doctors at UCLA immediately jumped to plans to remove Grace’s kidney and start chemotherapy. There was still no biopsy and no proof that she even had cancer. Because the parents wanted answers, UCLA doctors called Child Protective Services. Social workers filed to seize custody of Grace at 8 a.m. on Tuesday, January 16 – hours BEFORE the midday team meeting between doctors and the parents, alleging that Leah and Chris were refusing treatment for their child with cancer. Custody of Grace was seized that afternoon. The papers were filed hours before they even had the opportunity to consent or refuse. It is important to point out that they did not refuse; they simply wanted facts so that they could make an educated decision. They wanted a biopsy before organ removal and other drastic steps that would impact their child for the rest of her life. The doctors who performed the surgery that Friday were not even in the team meeting on Tuesday. Is This About a Medical Research Study? As Leah and Christopher fight the legal battle to try to get their baby back, Grace lies in a hospital with tubes and monitors – without her parents by her side. There are now at least 13 doctors involved with Grace’s case. The biopsy is back but Grace’s parents have not been able to see the results. They were told that “the pathology is consistent with stage 4 Wilms tumor.” Standard protocols, however, are not being followed. Meanwhile, Leah is limited to a single 2-hour visit per week with Grace. Christopher’s visits are also limited. Grace apparently believes that she is somehow being punished because all of this stuff is happening to her and she cannot be with her family. There are still more questions than answers. Both UMC and UCLA are teaching hospitals involved in many clinical studies. Dr. Ikeda is the common link between the 2 hospitals. According to the Cure 4 the Kids Foundation website, Dr. Alan Ikeda was recruited to work for the Children’s Specialty Center of Nevada in 2011. He is now the Chief Medical Officer. Before that, he was the Assistant Director of Pediatric Blood and Marrow Transplant program at Mattel Children’s Hospital at UCLA. 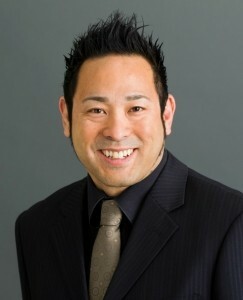 Dr. Alan Ikeda. Photo source. The website asserts that participation is voluntary, but the law permits children who are wards of the state to legally be entered into medical research trials without their parents’ knowledge or consent. Social workers and workers for Child Protective Services can legally consent in lieu of the parents. It is not known whether or not Grace has been entered into a medical research trial. Because she is in state custody, her parents don’t have to be informed. They were never consulted or given the option to consent or dissent to any study. This entire story revolves around the concept of “informed consent,” something that Leah Beabout has requested all along. In case of children, consent must be obtained from a parent. Informed consent must be preceded by disclosure of sufficient information. Consent can be challenged on the ground that adequate information has not been revealed to enable the patient to take a proper and knowledgeable decision. Therefore, accurate, adequate and relevant information must be provided truthfully in a form (using non-scientific terms) and language that the patient can understand. It cannot be a patient’s signature on a dotted line obtained routinely by a staff member. Patient should be given opportunity to ask questions and clarify all doubts. There must not be any kind of coercion. Consent must be voluntary and patient should have the freedom to revoke the consent. Consent given under fear of injury/intimidation, misconception or misrepresentation of facts can be held invalid. This has not happened. Grace’s life is at stake, and her parents are not allowed to explore options that could save her life. Grace was taken over false allegations that her parents were refusing treatment. They were not. They simply wanted the right to know the facts. One of our readers drew a correlation between what Child Protective Services does every day to parents across the country and the current investigation over the FISA warrant scandal in Washington, D.C.
With the current discussions and investigations in Washington regarding the 4th Amendment violations by the FBI and its operatives to disrupt the elections of our leaders… we must shine the light with the same intensity on the gross violations of rights of the American family in this country or all will be lost to us as citizens! 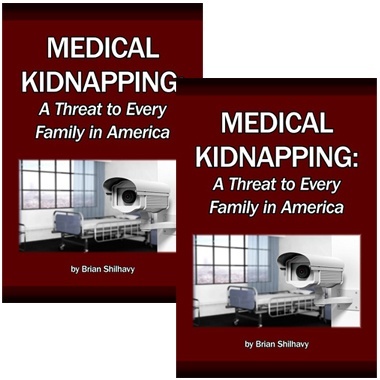 Mistakes, miscalculations, improper drugging, misdiagnosis, medical malpractice happens every day in American hospitals…That these parents have NO rights to question a doctor’s decision to open the body of their child and perform major surgery without satisfying the reasonable questions they have is an OUTRAGE and a gross violation of the values we hold dear as Americans. Any Judge who would uphold these decisions to withhold this little girl’s parents from her is a participant in her abuse and trauma. 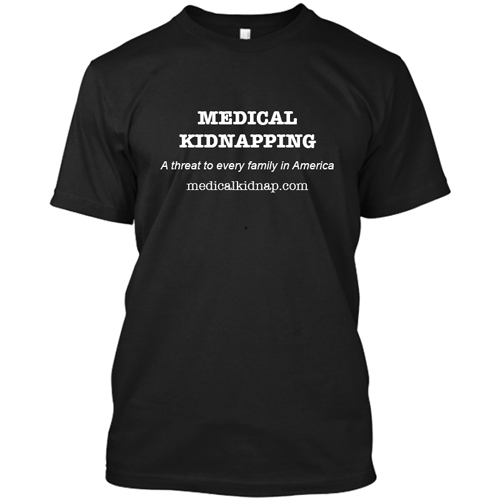 Thank you Medical Kidnap…seems clear the arrogance of the medical community carries on. A Facebook page has been set up for supporters to follow the family’s story – Saving Grace Alleluia Beabout. There is a petition here. Calls may be made on the family’s behalf to Governor Jerry Brown Jr. at (916) 445-2841, and he may be contacted here. U.S. Congresswoman Julia Brownley may be reached at (202) 225 5811 or contacted here. Assembly Member Monique Limon represents the family’s district in California. She may be reached at (916) 319-2037, or contacted here. Senator Hannah-Beth Jackson is their state senator. She may be reached at (916) 651-4019, or contacted here. Comment on this story at MedicalKidnap.com.